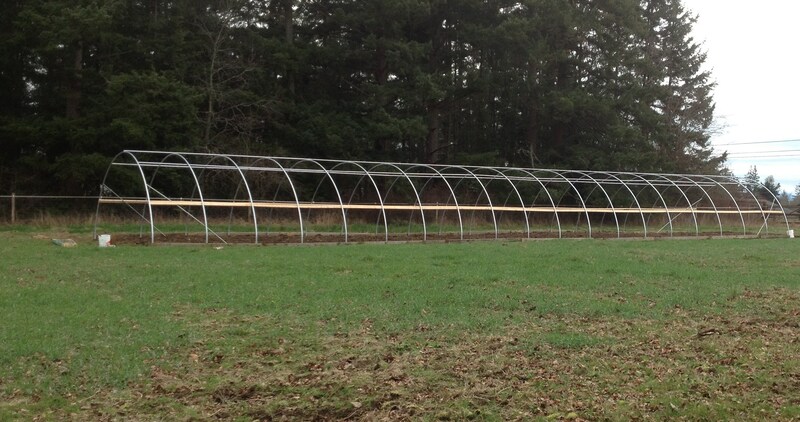 The hoops are up for my 20ft x 96ft hoop house and the plastic will go on soon! 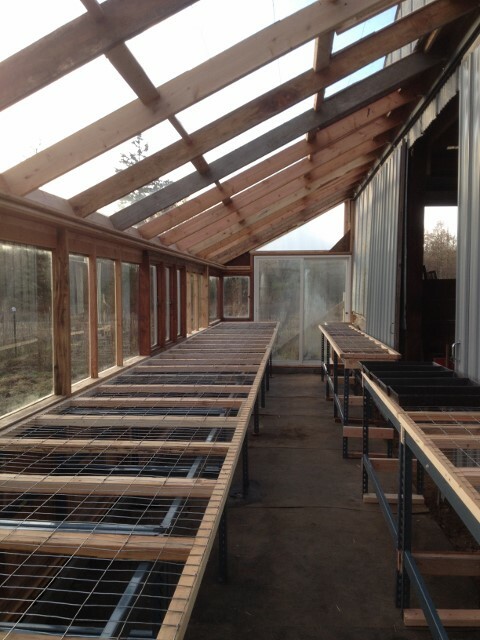 I just might direct seed lettuce, radishes, and mustard greens inside the hoop house to be harvested before the tomatoes are transplanted in late May! I seeded some flats! Here are some future onions, leeks, and shallots. 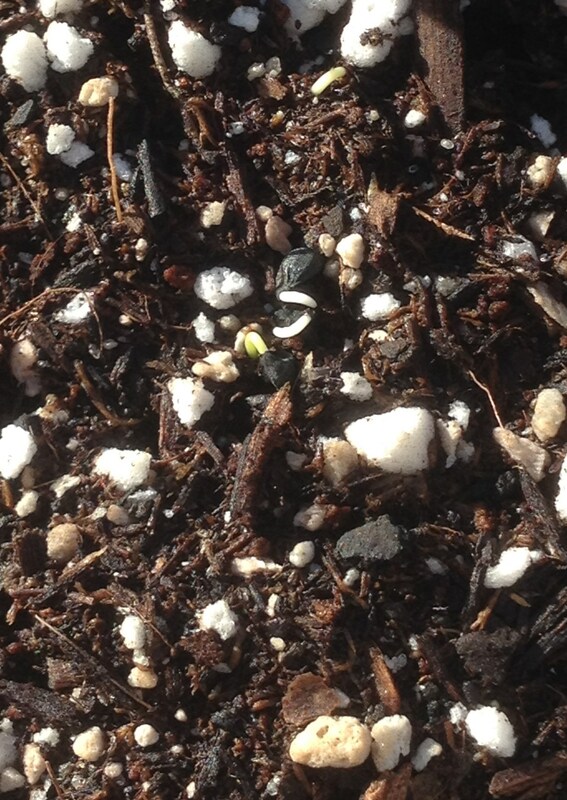 If you look closely, you can see that they started germinating yesterday!!!! 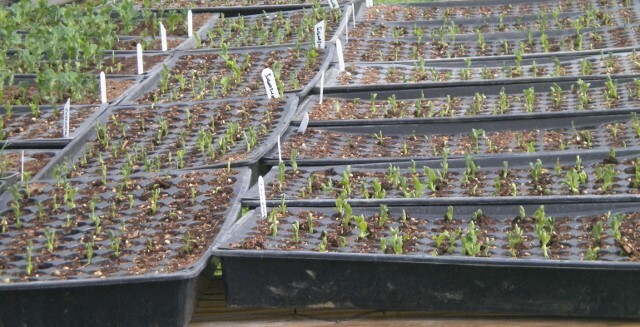 I just love it when seeds germinate! 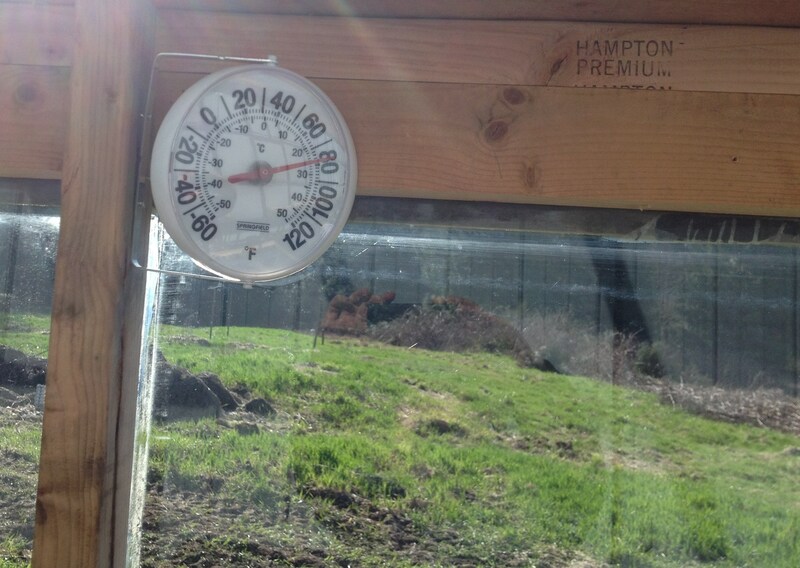 When the sun is out, I must keep a close eye on the temperature…it heats up fast! 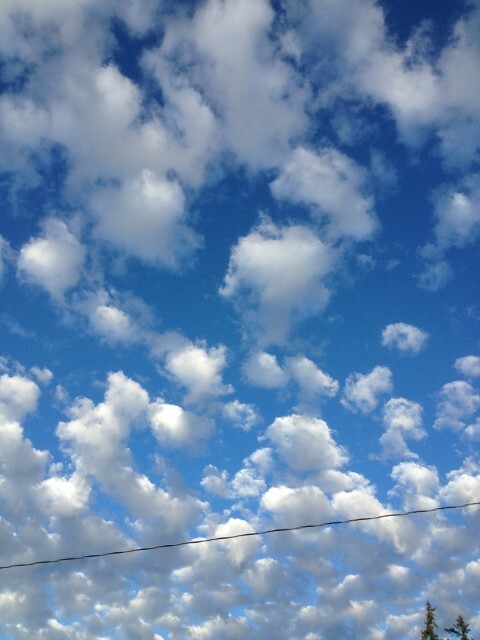 Last Monday, I had all the doors and windows open. 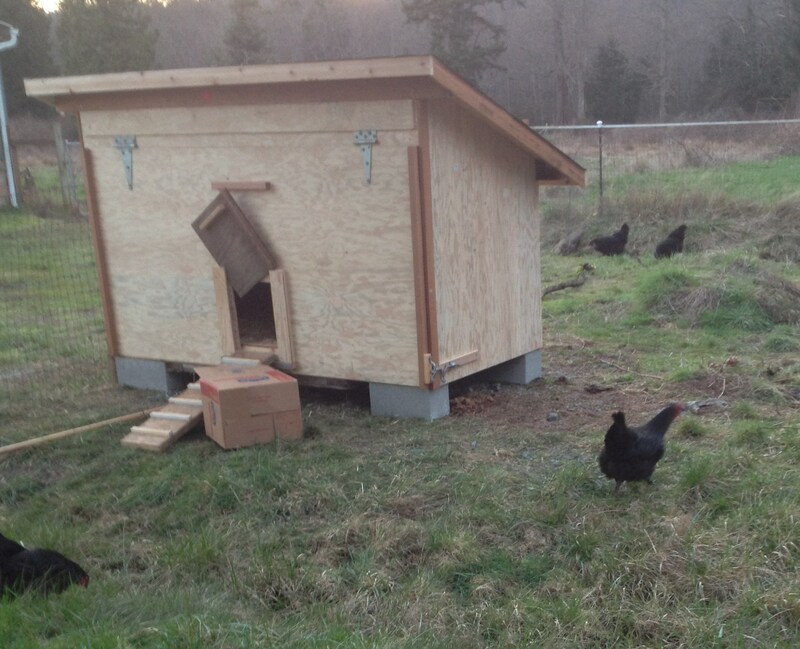 I got 6 hens about a week ago! 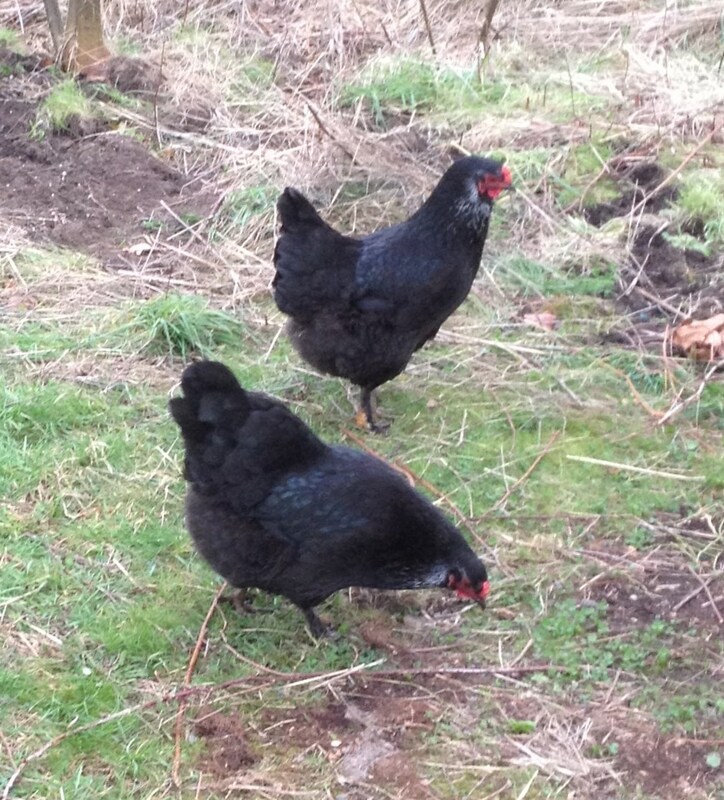 They are a cross of barred rock and light brahma. Chickens are pure entertainment and the eggs are so delicious! 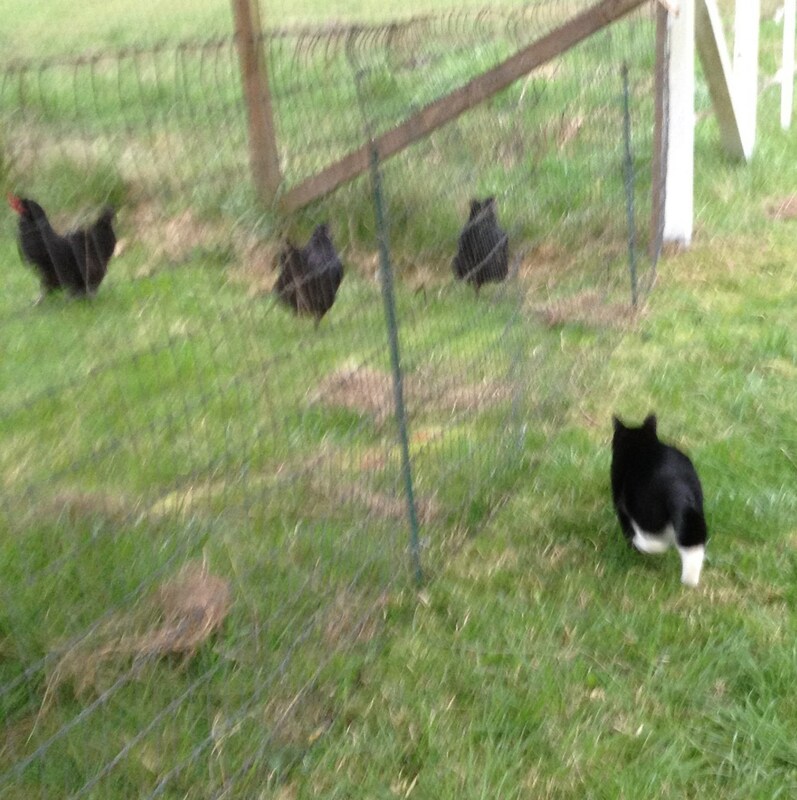 My cat, Bob, has decided to leave the hens alone…I was worried for a few days! 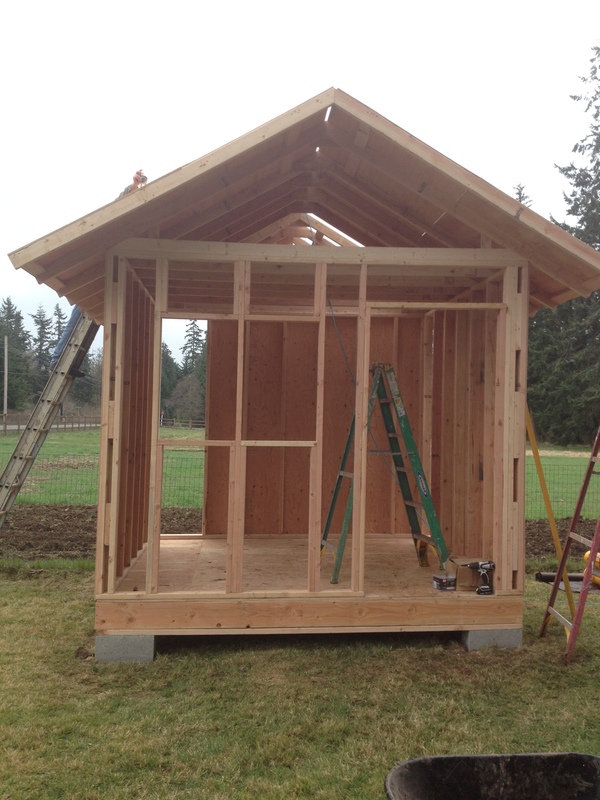 Currently, we are constructing the roadside farm stand that I will sell produce out of. 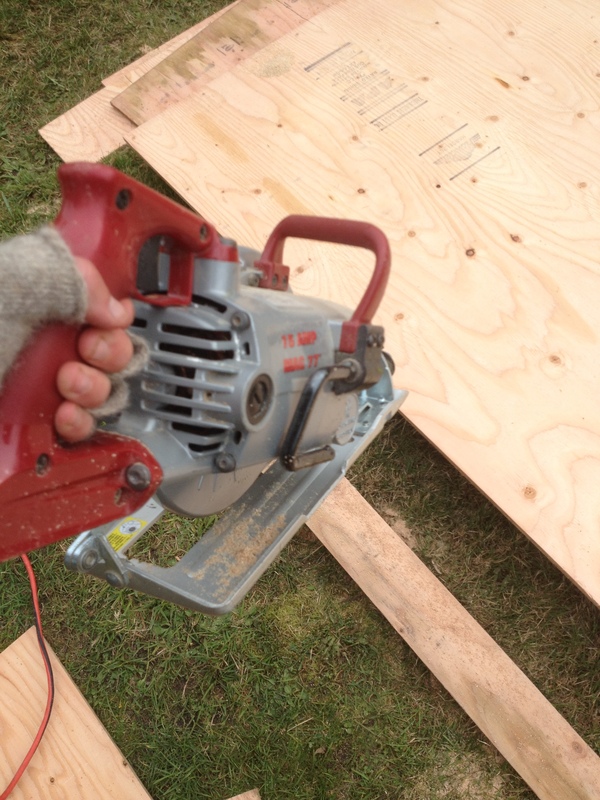 This means I get to use lots of fun power tools and a fancy stapler! 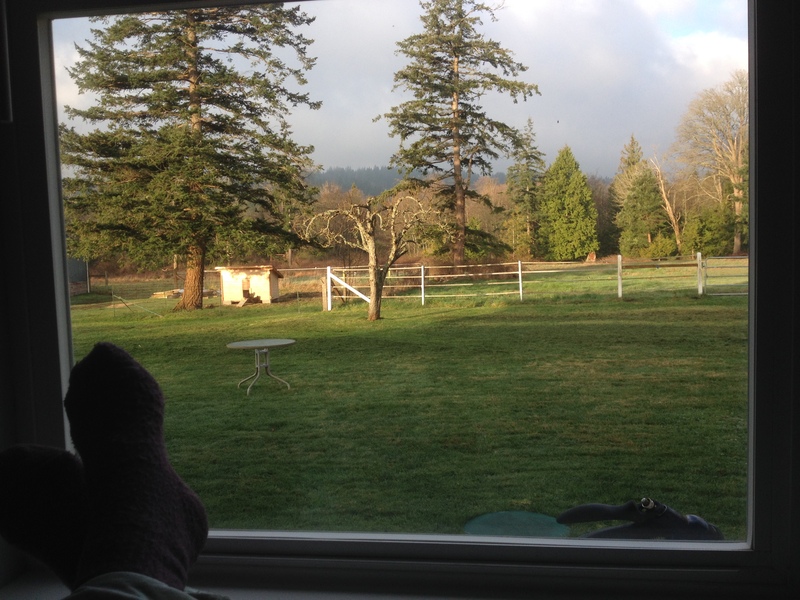 And I start each morning drinking coffee and taking in the view. 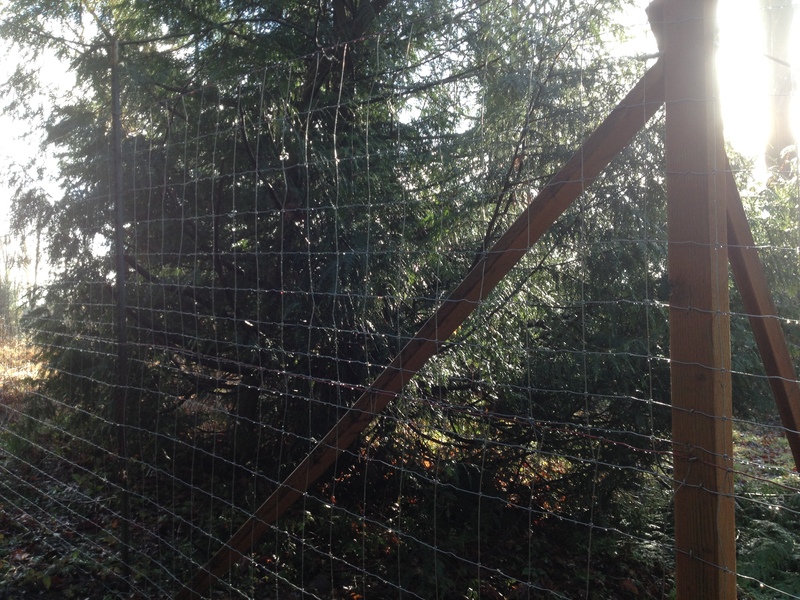 Dramatic End to Deer Fence Saga! We knew this deer could not jump any part of the fence, so the plan was to herd the deer around the perimeter of the property and out the one gate. 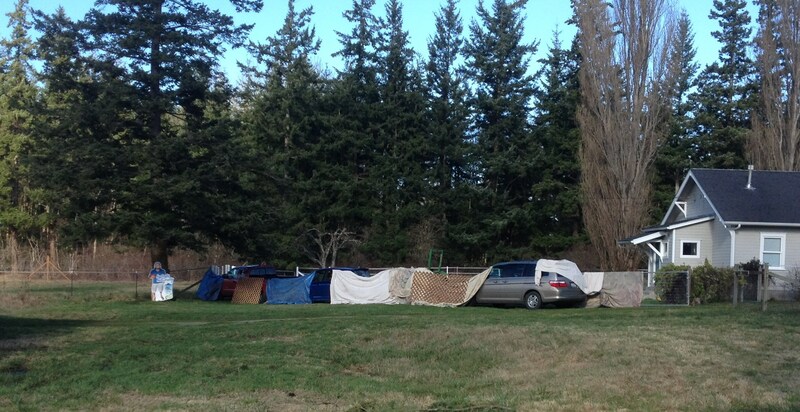 For this to work, we needed to create a barricade to keep the deer from continuing on past the gate…we lined up 3 cars and the tractor and covered them with tarps. Some friends headed over to help and we needed them! On our first try, the plan nearly worked, but the deer turned at the last second and took off in the opposite direction of its gate to freedom. 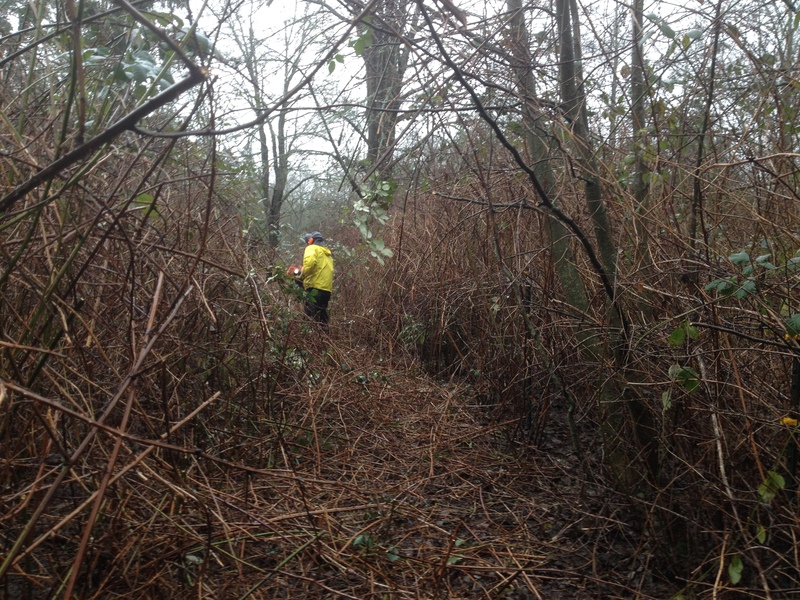 Every time we successfully got the deer up to the front of the property near the gate, it would turn and sprint back to the shelter of brush and trees. More than once, the four of us thought we were herding the deer through the brush, while the deer had snuck past us and was on the opposite side trying to find an opening in the fence. It became clear that the biggest flaw in our plan was the deer felt more comfortable on the backside of the property in the brush and trees than in the open fields near the road where the gate is. New Plan! We cut a hole in the fence at the back corner of the property and after a few tries, the deer found the hole and was gone! We patched the hole and our fence has passed the test! 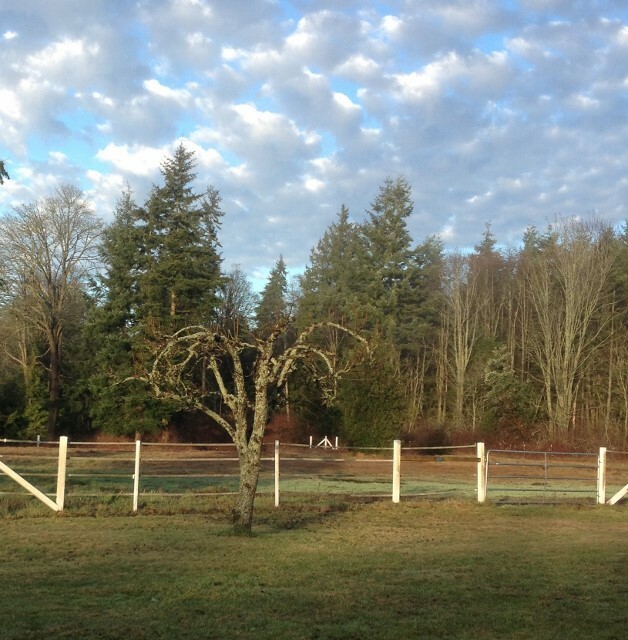 Getting that deer on the outside of the fence was a dramatic end to a huge project! The deer fence almost four weeks to build and 8 rolls of field fence (2,640 ft). This project took me to parts of my property that I had not yet seen and it turns out that building an 8 foot fence is a good way to meet your neighbors! Working near the road gave me a chance to chat with some neighbors who were out for a walk! 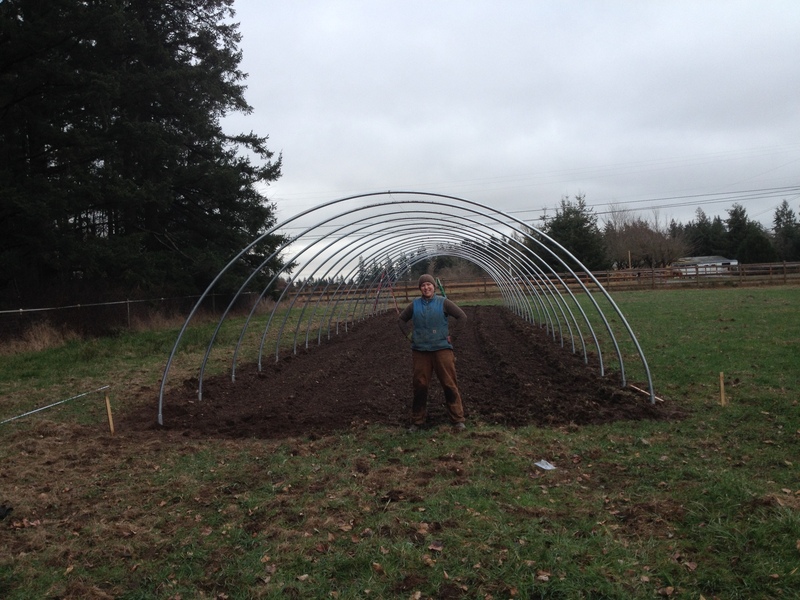 NEXT PROJECT: Construct hoop house! 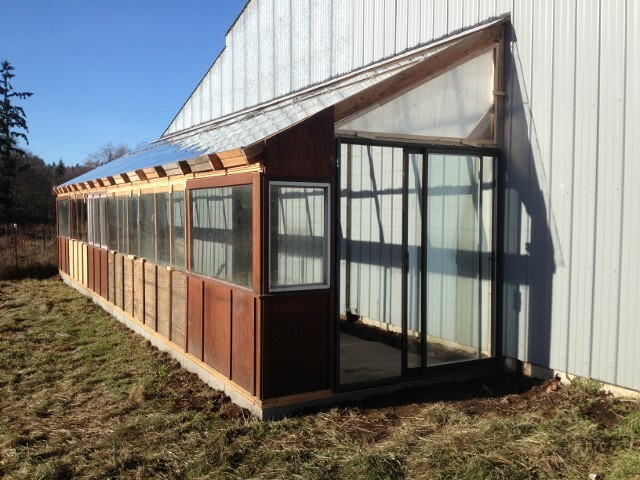 I ordered a custom made hoop house kit from Steve’s Greenhouses (http://stevesgreenhouses.com/) and it has been patiently waiting in the barn for the deer fence to be done! 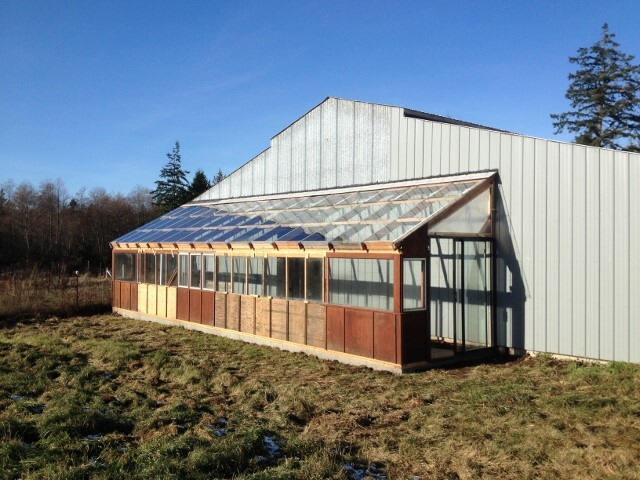 The hoop house will be 20ft by 96ft! 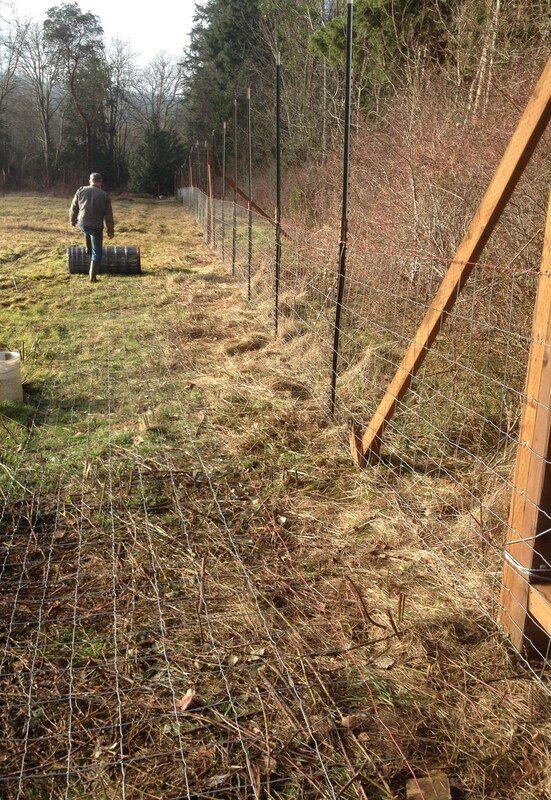 Progress is happening on the deer fence! We are half way!! The North side is done! Half of the west side is done! 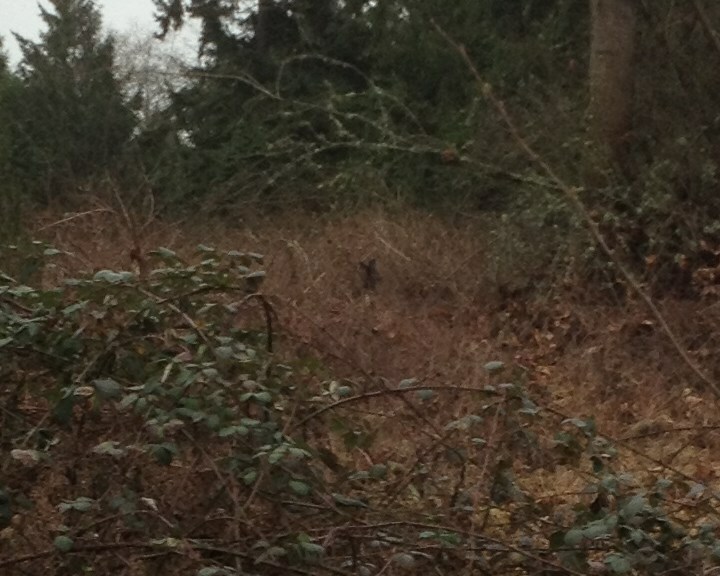 This morning started in the back corner with a view of what the deer now see from my neighbor’s property! Last week, we got the north leg of the fence up. 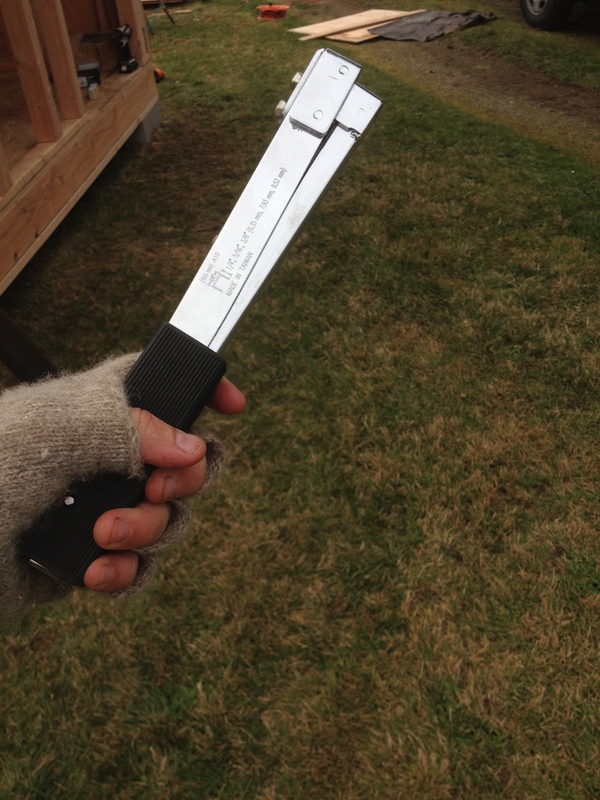 Thanks to our handy fence stretcher tool, the first 4 feet went up pretty smoothly! You can see in this picture that the first half of the fence is up and dad is rolling out the next roll of fence to be attached above to make a total of 8 feet tall. I thought attaching the second roll of fence 4 feet off the ground would be the hardest part of this saga, but it turned out to be the task that produced the least amount of head-scratching and loud declarations that deer are difficult! 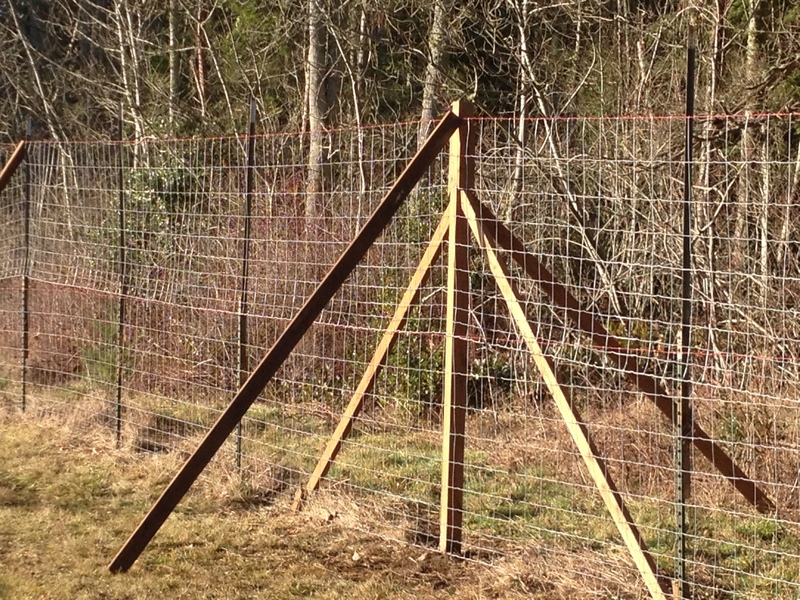 2 x 4’s held the fence in place, making the stretching and attaching almost easy! 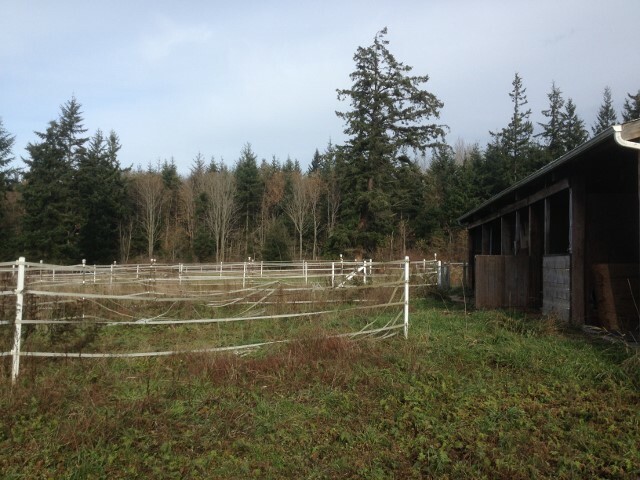 Today, we got half (330ft) of the west side of the property fenced! So far, the weather has been perfect for this project. We only got rained on the very first day of clearing the fence line! 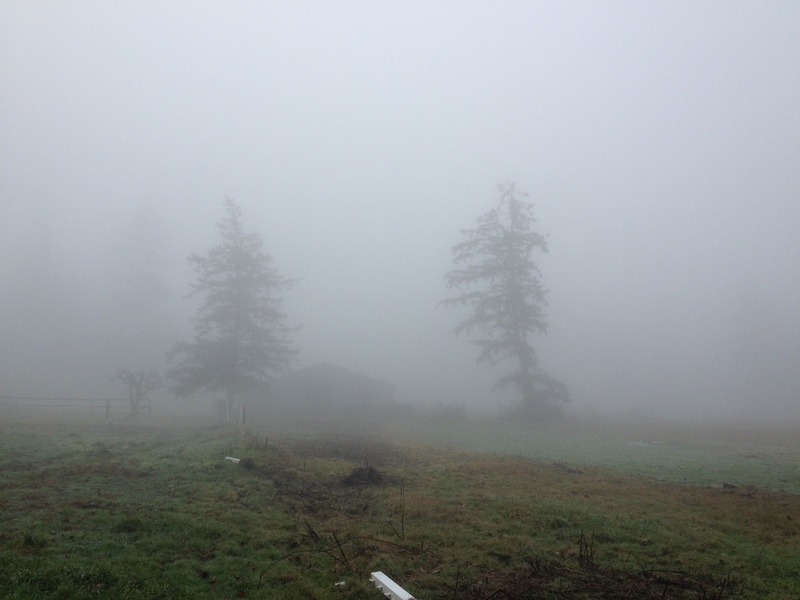 It has been quite foggy in the morning and sunny in the afternoon! 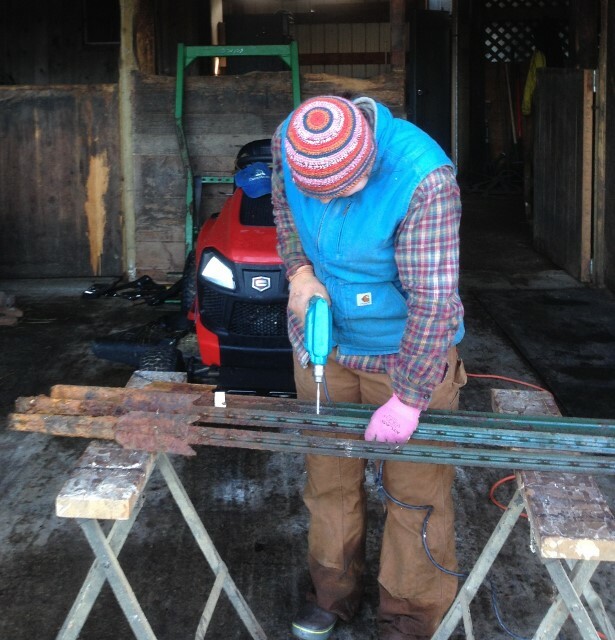 Yes, the construction of the deer fence has been upgraded from a project to a saga. 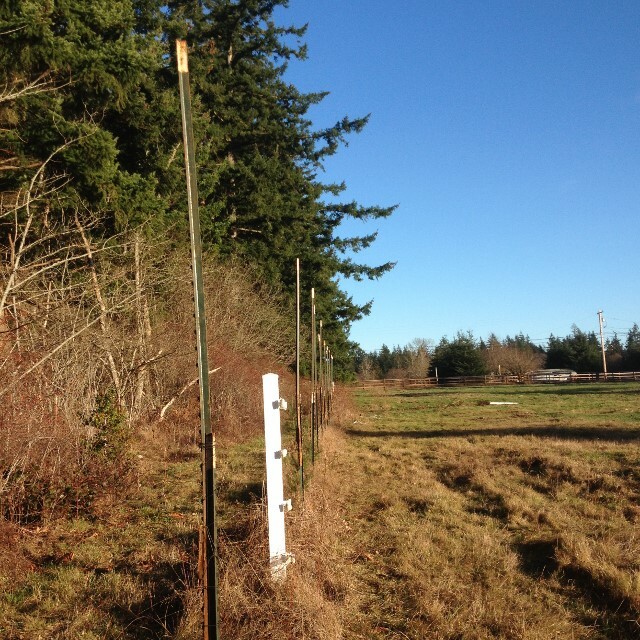 I have lots of t-posts from all the horse fencing that came with the property, but they are not tall enough for the 8ft deer fence that I need. 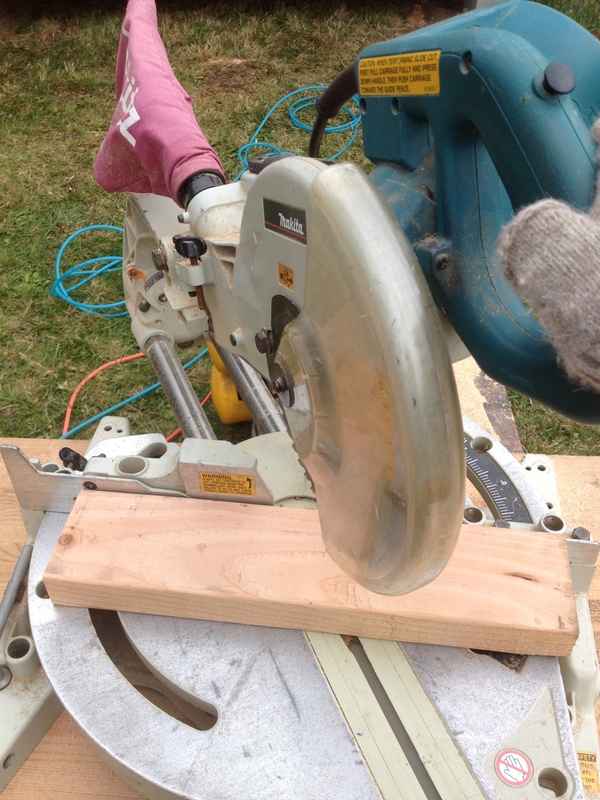 The original plan was to drill two holes into each t-post and bolt them together. After two trips to the hardware store and 6 dulled drill bits that no longer worked, we had 14 t-posts with two holes drilled into them. 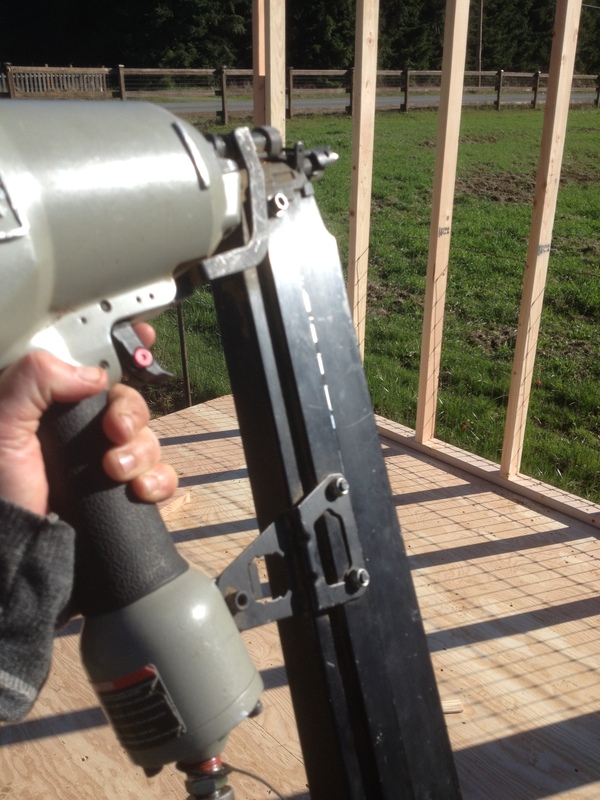 Only 240 more t-posts to drill holes into. Dad and I calculated how many more drill bits we needed, reminded ourselves that Pete Carroll says every challenge is an opportunity for success and then we stopped for lunch. New plan! We will wire the posts together! 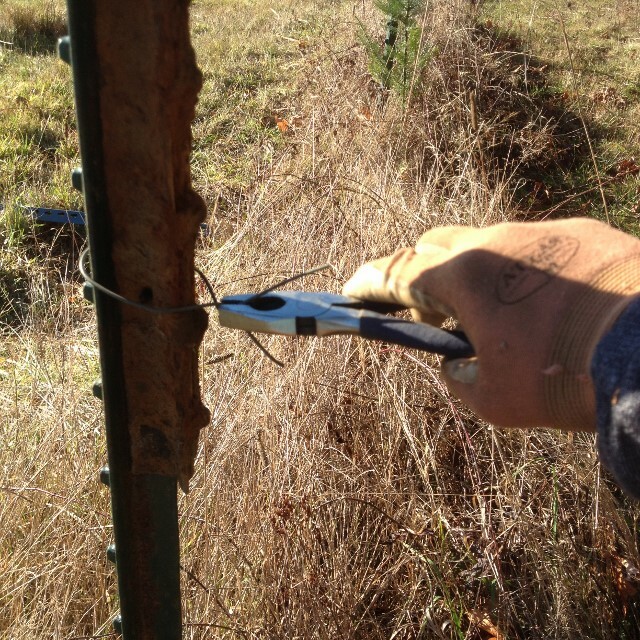 Luckily, there is a ton of electric wire on the back fence line that we uncovered a couple days ago. 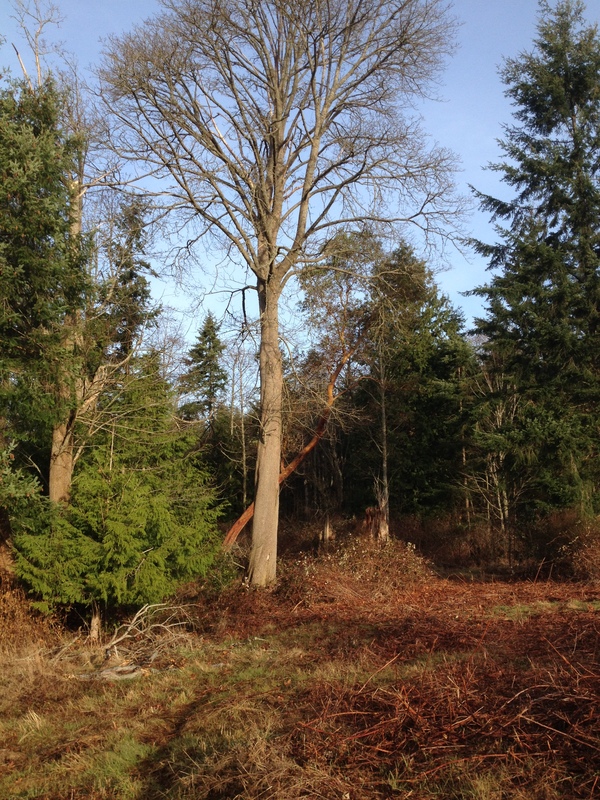 This wire will be cut and used to tie 2 t-posts together to make one 9ft t-post. 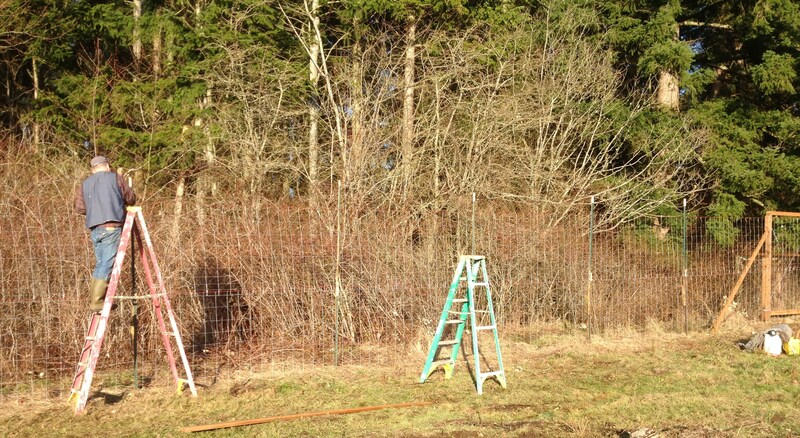 Originally, we were going to put up a 6 ft fence and run the wire above the fence to get to 8ft tall. 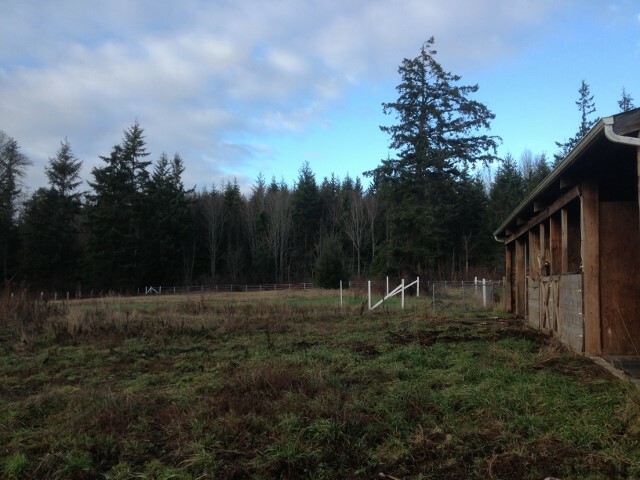 But, I bought 4ft field fence and our plan is to run a lower and upper roll to get to 8ft (Do not worry, an installment of this saga will contain pictures and stories about how we are going to unroll and stretch 330ft of field fence 4ft off the ground. Perhaps, to offset the cost of all the fence, I will sell tickets to watch what promises to be an entertaining portion of the Deer Fence Saga!!). After lunch, we got to work attaching the t-posts with wire and started to make progress! So, it was one of the those days were much less was accomplished than originally planned, but we are ready to keep moving with our new plan and it was a gorgeous day to be outside!!! After wandering around the farm and discussing deer fencing options, we are moving in a different direction than stated in my previous post! We figured extending the height of the existing fence line around the property would be easier, cheaper and more aesthetically pleasing! 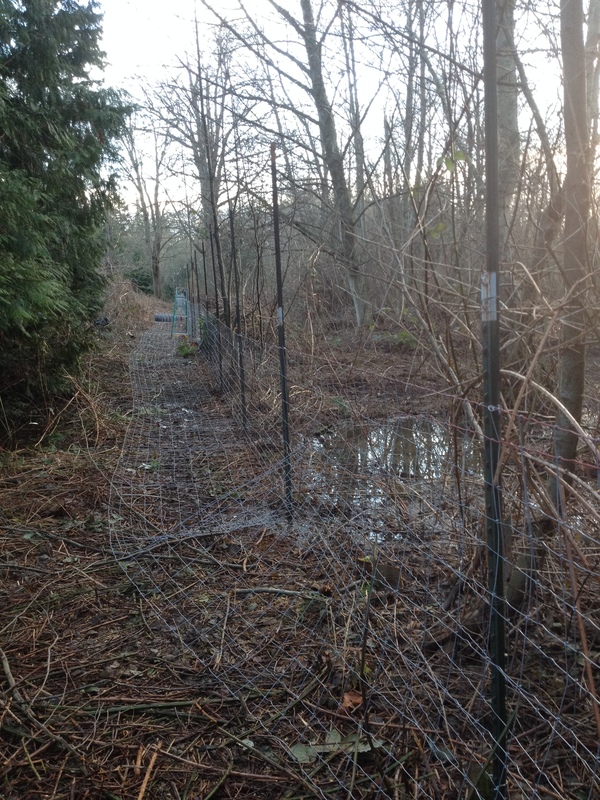 The rest we cleared by hand and look…A very straight fence line appeared!! The local deer are enjoying meals of my rye grass and vetch cover crop! They have also learned that I have terrible aim and the rocks I throw will not hit them. 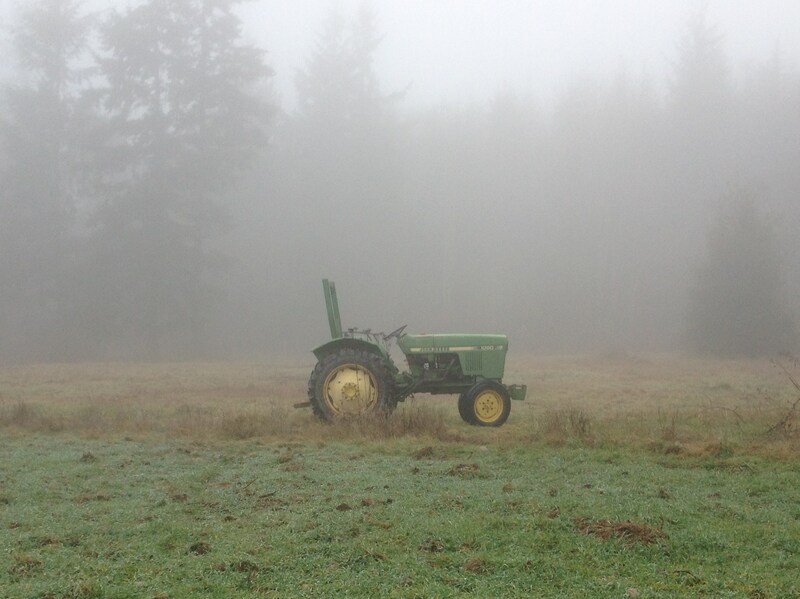 We used the tractor to pull out a bunch of the horse fencing. 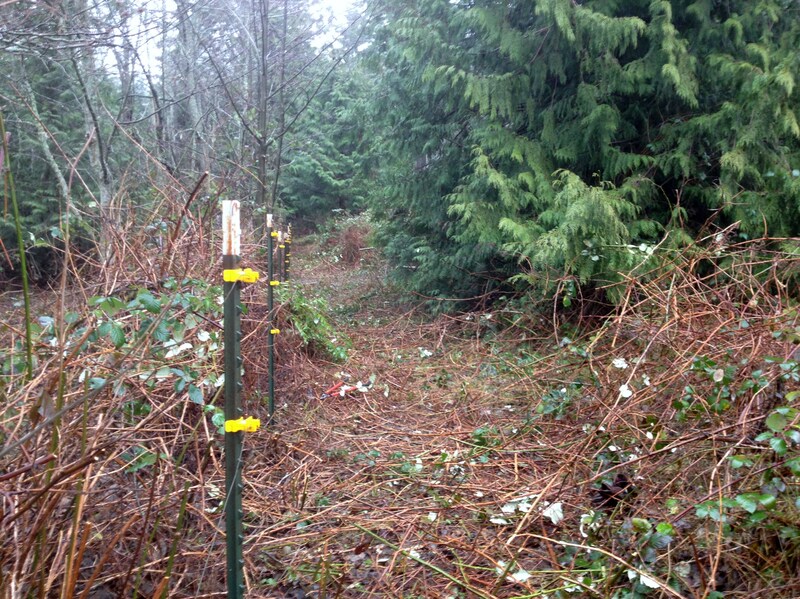 Our next step is to extend the existing fence the length of my property. It will be much higher than the horse fence! I plan to only fence areas where I will grow crops. There is plenty for the deer to eat on the edges of my property that I am leaving wild to provide natural habitat to hopefully attract birds and beneficial insects! 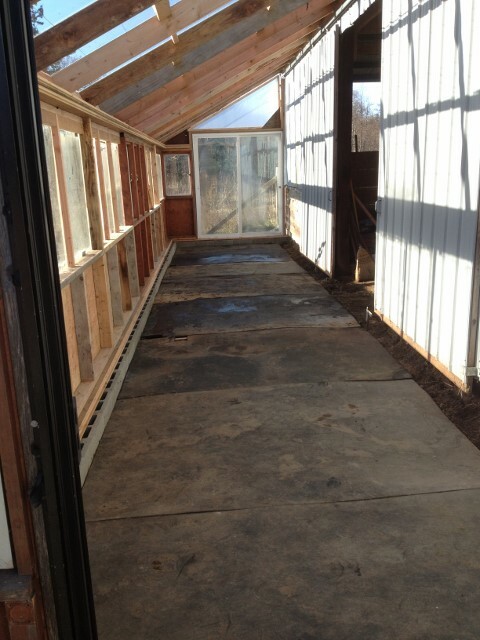 The majority of the prop house was built from reused materials! 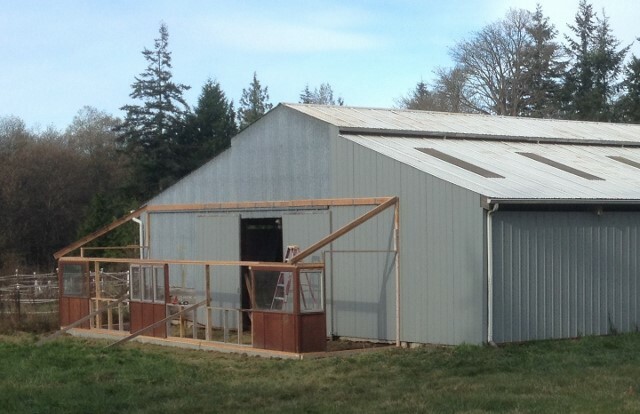 We decided to build it off one side of the barn, so we only had to construct three walls! The city greenhouse my dad made for me became the corners and middle of the prop house. 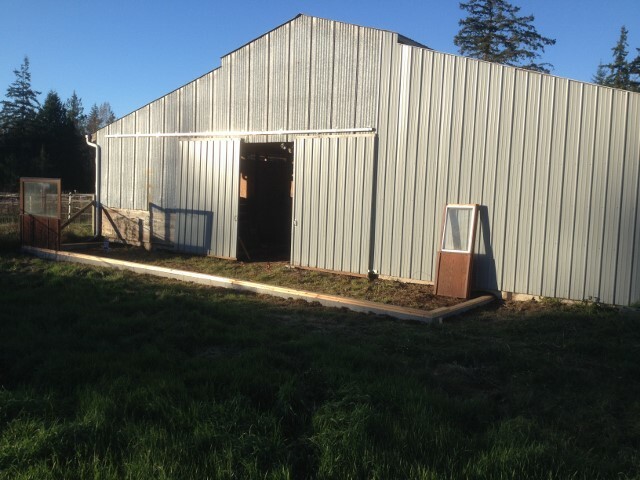 Removing walls in the barn left us with a pile of plywood and 2 x 6 boards that made up the rest of the prop house frame and walls! Horse stall pads are now the prop house floor. They are super heavy! 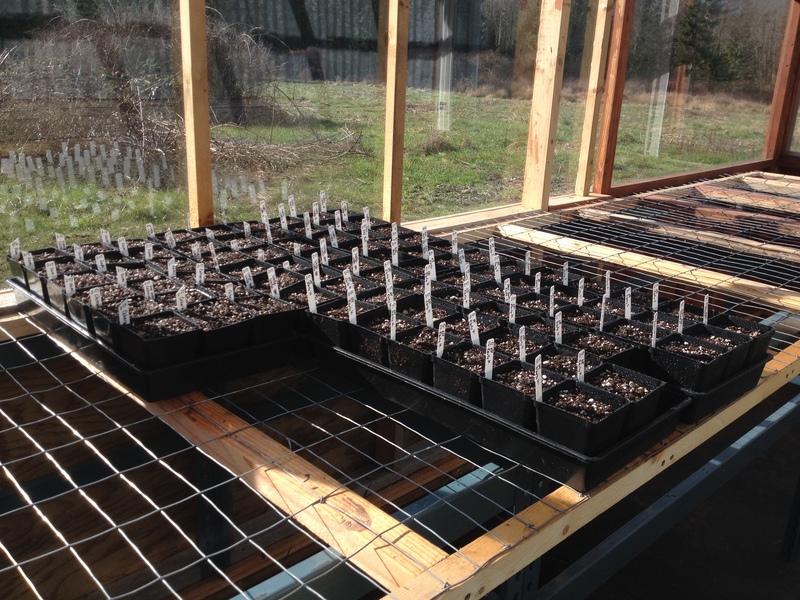 Now the tables have been added and I am ready to start seeds!! A huge THANK YOU to my dad for all his planning, material scavenging and work!! Thank you to our friend, Satch, for his help constructing the tables!